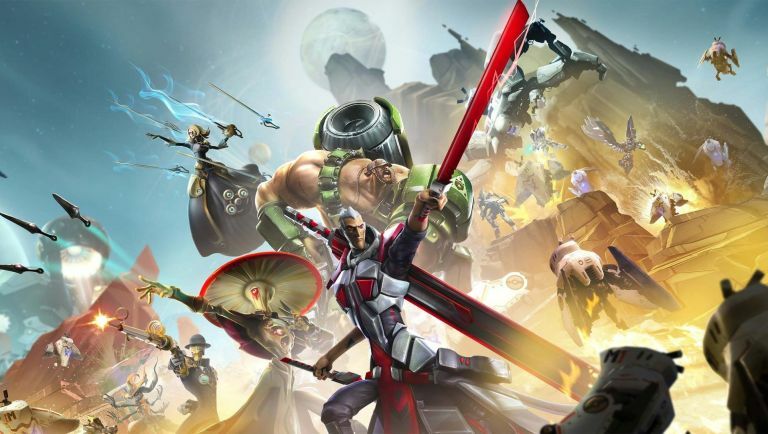 As a nice little thank you to all those that took part in Battleborn's recent open beta on PS4, developer Gearbox is making its first new Hero available for free when she arrives on 31 May. Take Two says, "new projects," to be revealed soon. Could it be Red Dead Redemption 2? If you're a Digital Deluxe edition owner or Season Pass holder, you'll be able to unlock monk healer Alani a week early (24 May) via a Hero Key unlock. The end of the month will also see the release of the very first DLC Pack Story Operation, so look out for that as well. "A member of the Eldrid faction who was raised as a healer, but forced to be a warrior, Alani is all that remains of her order after Rendain's Jennerit Imperium stole the oceans from her world," broods her official character bio from Gearbox. "As a warrior from a planet with vast seas, Alani's attacks and abilities revolve around her power to control water to dish out pain, or heal her fellow Battleborn." Very moody. Gearbox will also be holding a Double XP event this weekend to entice new adopters with some easier progression. The event will double your XP earnings in both Story missions and competative multiplayer matches so there's plenty of reasons to login from today and get your characters levelled up to the nines. The Double XP event starts today and runs all the way into next Wednesday (call it an extended weekend, okay? ).